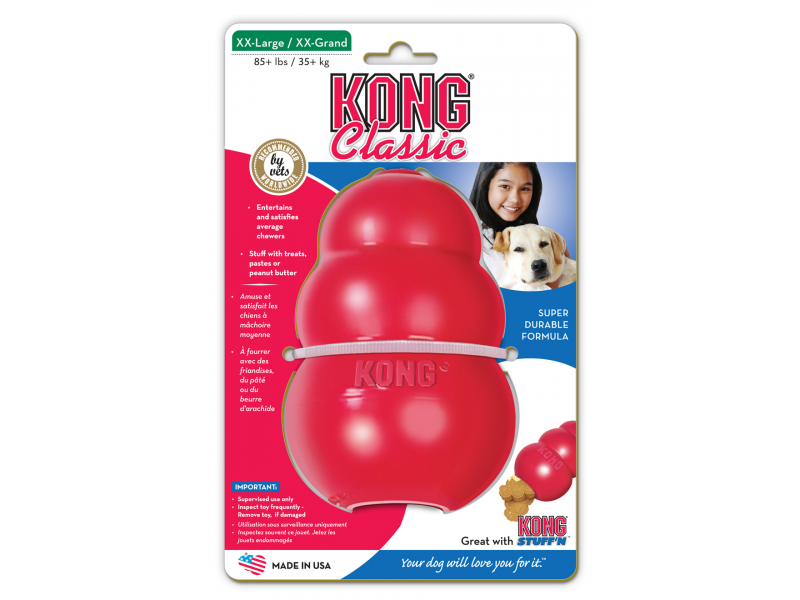 The Kong Classic has been the gold standard of dog toys for over 36 years. 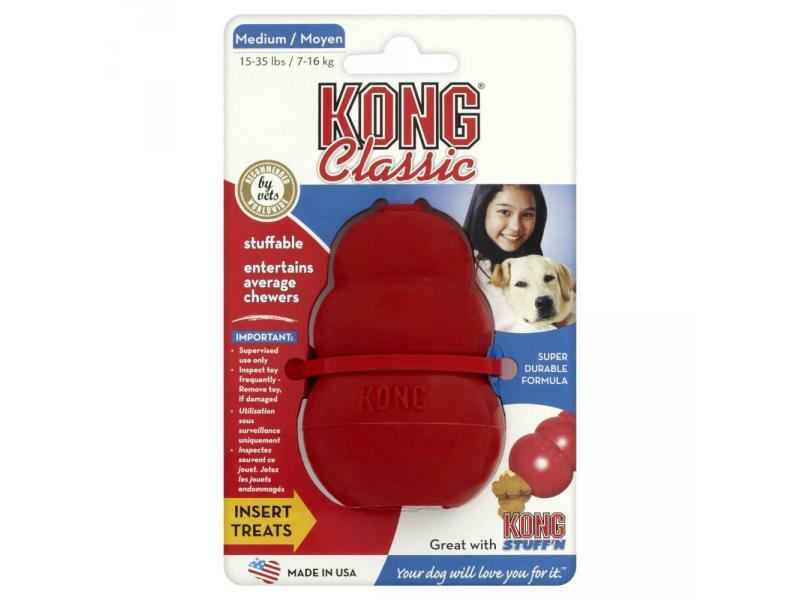 This super-bouncy, attractive red natural rubber compound is perfect for dogs that like to chew. 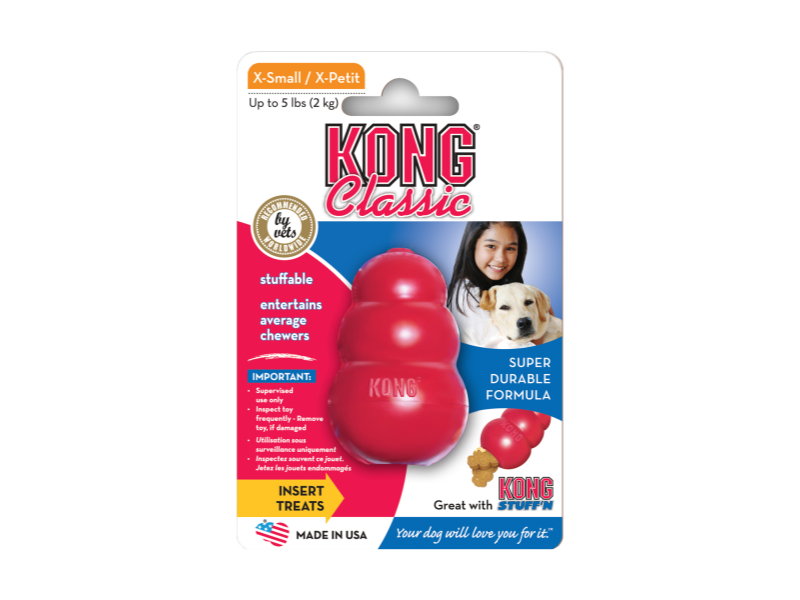 We recommend stuffing Kongs with food and treats to keep dogs busy and deter misbehaviours. 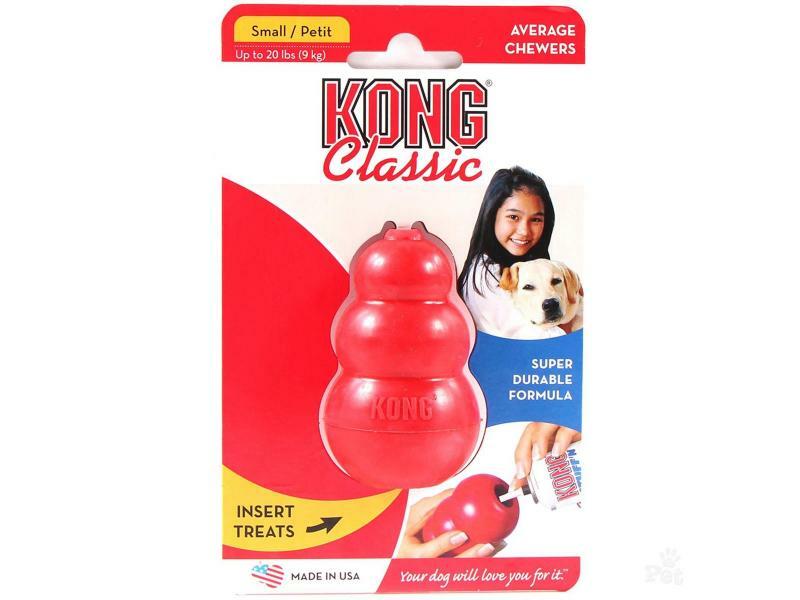 Please see below for a guide to find the right size for your dog. 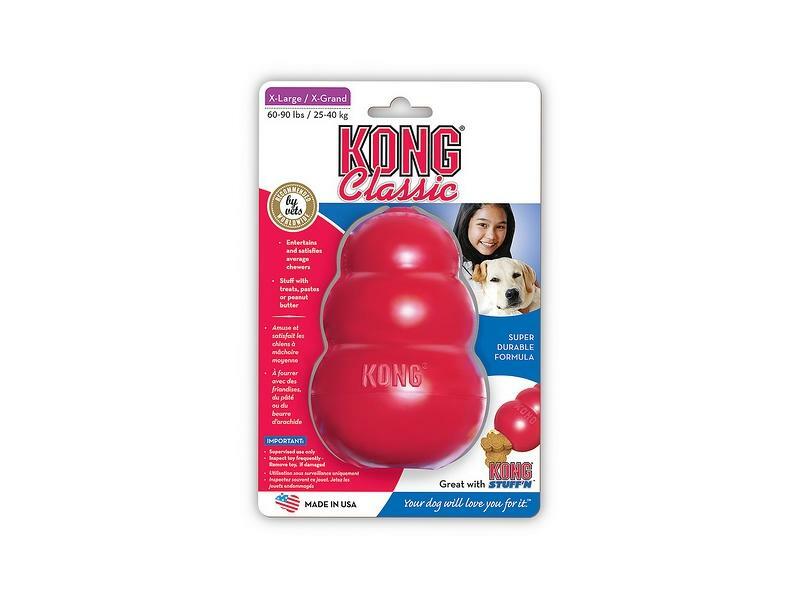 There are currently no questions for Kong Classic Red Dog Toy - be the first to ask one!